189 million iPhones are currently in use in the U.S. There are a whole lot of iPhones in the U.S. The days of crazy iPhone growth may be over, but the U.S. install base continues to tick upward — growing 14 percent relative to the December 2018 quarter. 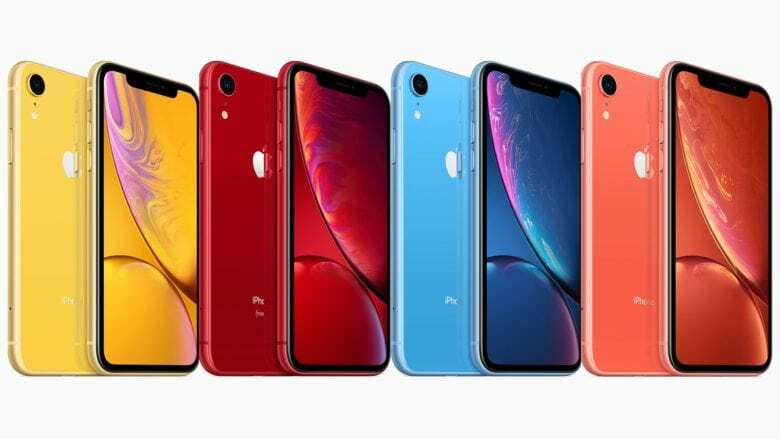 According to new research published by Consumer Intelligence Research Partners, Apple’s total U.S. install base (the number of active iPhones being used) currently stands at 189 million units. With the U.S. population in the vicinity of 325.7 million people, that’s more than one iPhone for every two people in the country. The 189 million unit figure is only a slight increase on the 185 million units at the end of September 2018, but it does show just how massive the reach of Apple’s smartphone is in the United States. 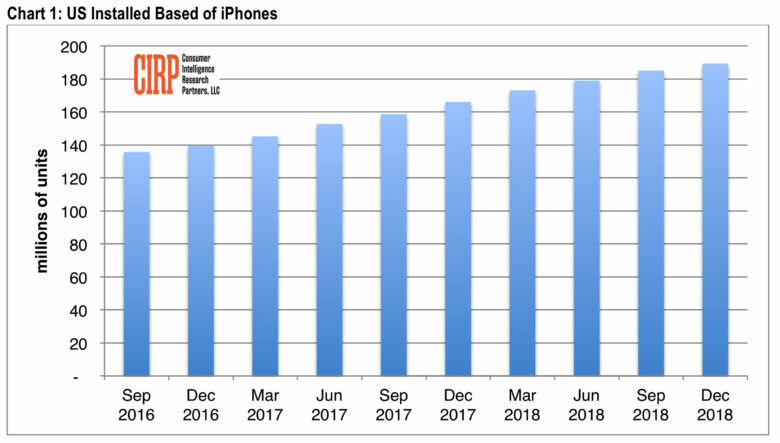 A look at Apple’s rising iPhone installed base in the U.S.
CIRP bases its figures on estimated global sales of 62 million iPhones for the last quarter. As per Apple’s new rules, it no longer shares unit sales, meaning that these now have to be estimated by analysts. CIRP’s figures are based on average sale price of $839 per phone, and iPhone revenues of $52 billion. Overall, Apple has a global installed base of around 900 million iPhones: one reason why investors are so excited about Apple’s continued push into subscription-based Services.